Here are two different options I use for basing 15mm figures. Old Crow make two kinds of base, the first is a smallish resin base which is a max of 17mm across and the metal base is just shy of 15mm diameter. In my view the finer and heavier metal base is superior to the resin one because it is a little smaller which looks right for 15mm models, it adds some great weight to prevent topple which in addition to the bases already on a GZG model makes for a very stable base. The lip is also great because once slotted in, you can texture with pumice gel or PVA and sand leaving a continuous smooth surface. 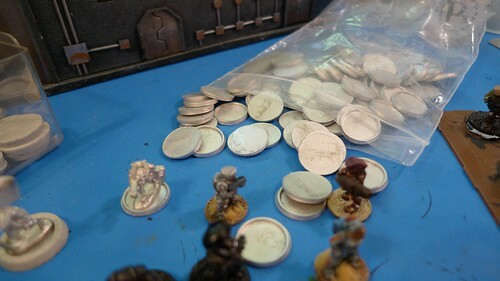 You won't get the rounded bump lip you would if you mounted the GZG bases onto washers or coins that are not exactly the same size as the model base. Both bases have a lip which fits all the GZG model bases in very snuggly. You may have to sand the bottom of the GZG model base if it has any flash or bumps on it, so that it can fit flush into the base. The GZG model is resting in the metal base here and the two old Traveller models are just mounted on washers for weight. I will need to transfer them over to the newer metal Old Crow bases to keep them in line with the rest of the models. The Kravak are already mounted in the metal 15mm size bases and have been undercoated black. You can see how snug the GZG bases fit into the resin Old Crow Models bases. 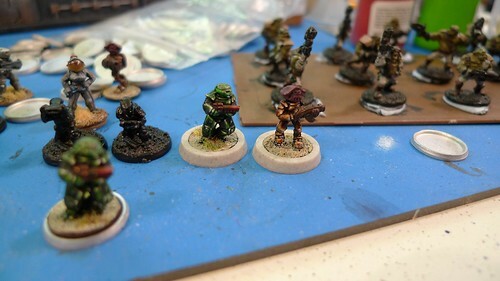 These work in progress Fifth Element models from GZG are on larger bases which do not fit into the Old Crow bases. GZG, I'll have to check them out. Thanks! My ongoing dilemma is how to base figures for shipboard battles. 15mm figs are not practical to pin on top of some deck plate or grille like a 28mm fig is. I think the resin bases you use would be a good start. @SpaceJacker, Certainly the resin bases fit well and would take some light texture to act as a ship deck. I simply did not change the bases for play on my space-base, it was easier to use the same light sandy base, so I could maintain a standard. 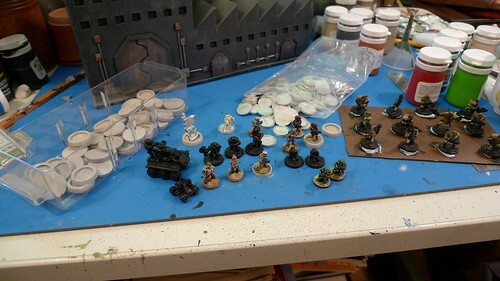 I stumbled upon your blog looking for 15mm basing suggestions. A few quick questions: (hopefully you get notifications about comments on 11-month-old posts). I searched Old Crow for the recessed metal bases you recommended. Are they the "13mm round, with recessed center" listed on their site? Are they magnetized? 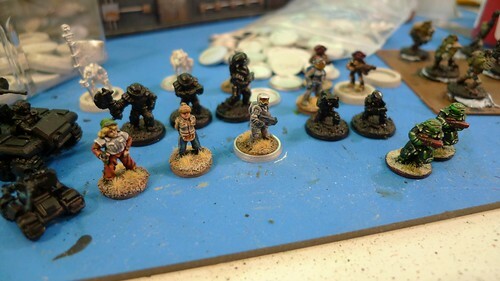 Do the bases fit with 15mm scifi from RAFM and Khurasan? 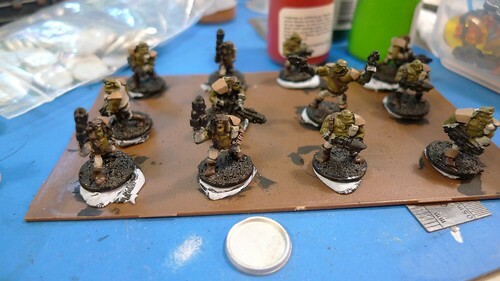 Those are the resin bases KP. They don't do the metal ones outside of the packs for the 15mm troops they do. I tried to get Jez to make metal ones (two personal visits to his workshop in South London) but he is only doing the resin, which are fine but a bit more bulky.